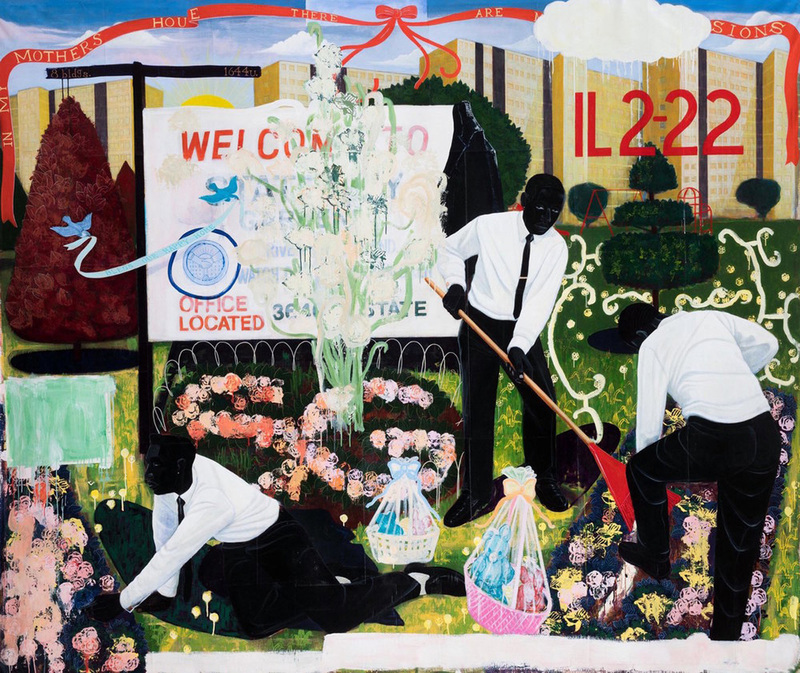 Kerry James Marshall is a contemporary artist who uses his art to challenge both the notion of traditional western painting as well as the marginalization of African Americans through history. 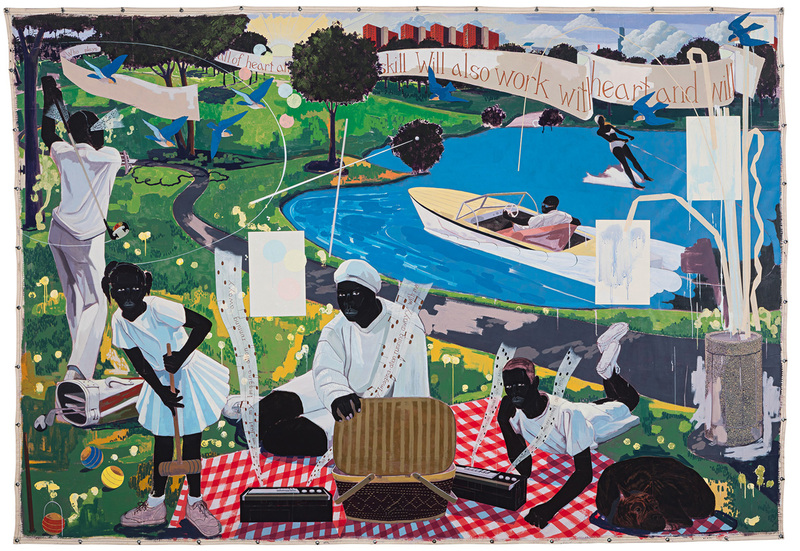 His work depicts narratives of everyday activity frozen in time and with that it presents a striking depiction of the black culture. 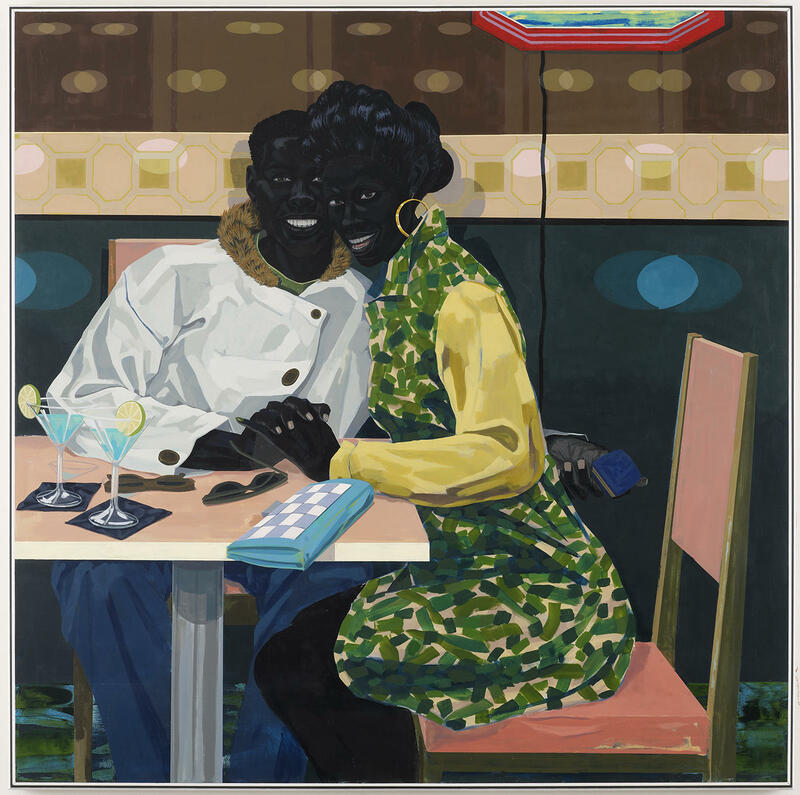 His paintings portray pride in being black, both in culture and race, with deep dark, almost exaggerated black skin tones. 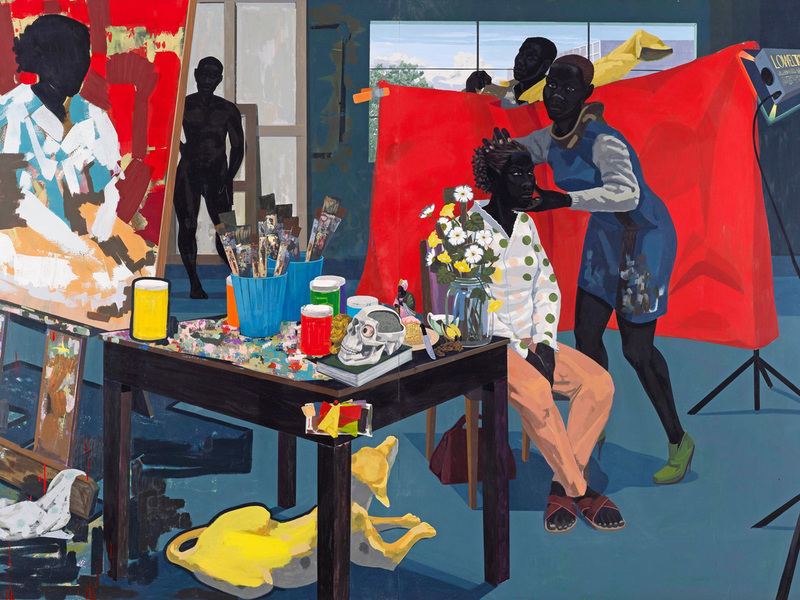 This is one successful unapologetic approach to combat the erasure of black people in art history as his body of work will leave a legacy of celebration of black culture. It is not without influence, both from his understanding of history and from the artist’s own life and struggle. 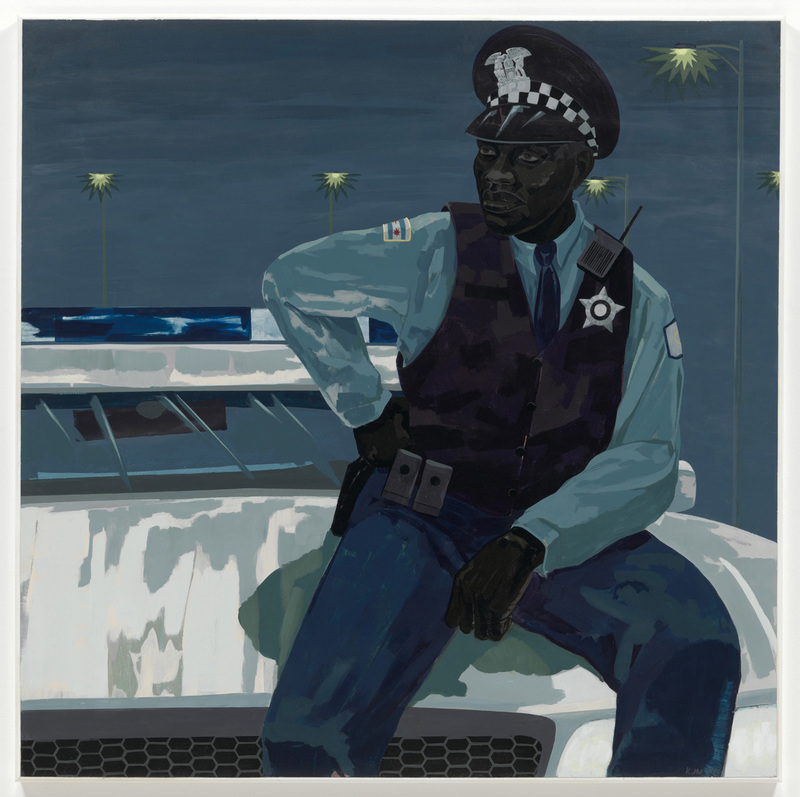 Marshall was born in Alabama during the height of the Civil Rights Movement and then relocated to South Central Los Angeles; settling just across the road from the Black Panther Party headquarters. 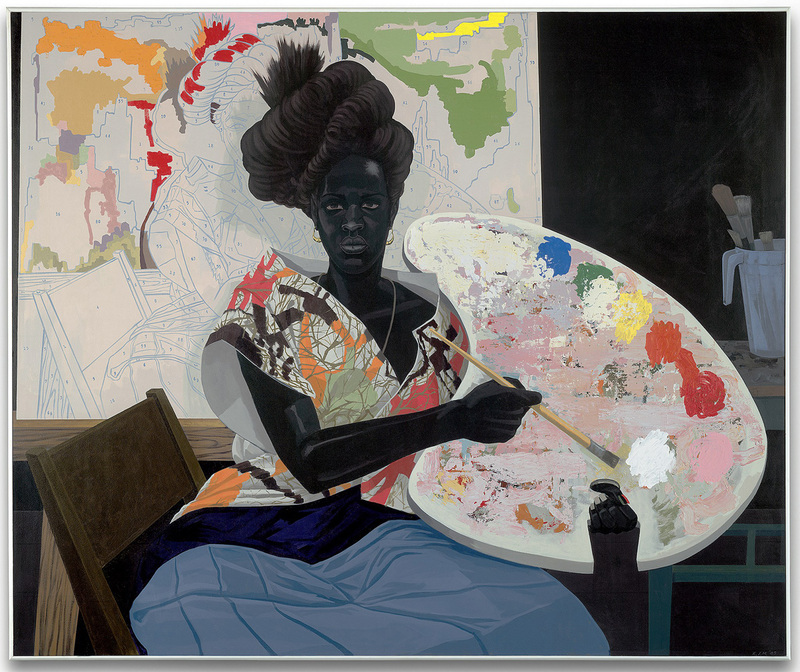 Marshall also challenged the perceptions and social construct that pertain to beauty and power. 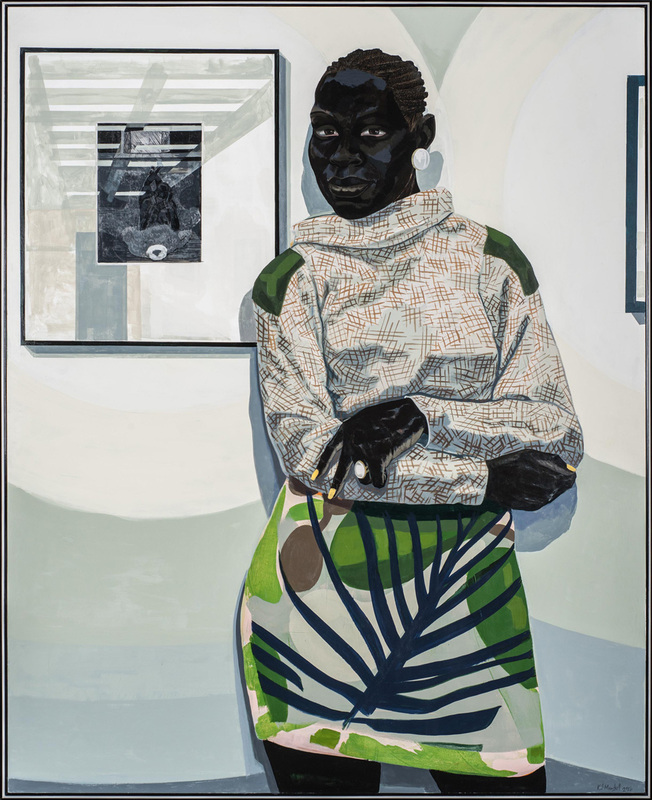 Like many large publishing and fashion houses pursuing more inclusive agendas, Marshall appears to completely dedicate his work to strengthening the presence of black images in museums and galleries. 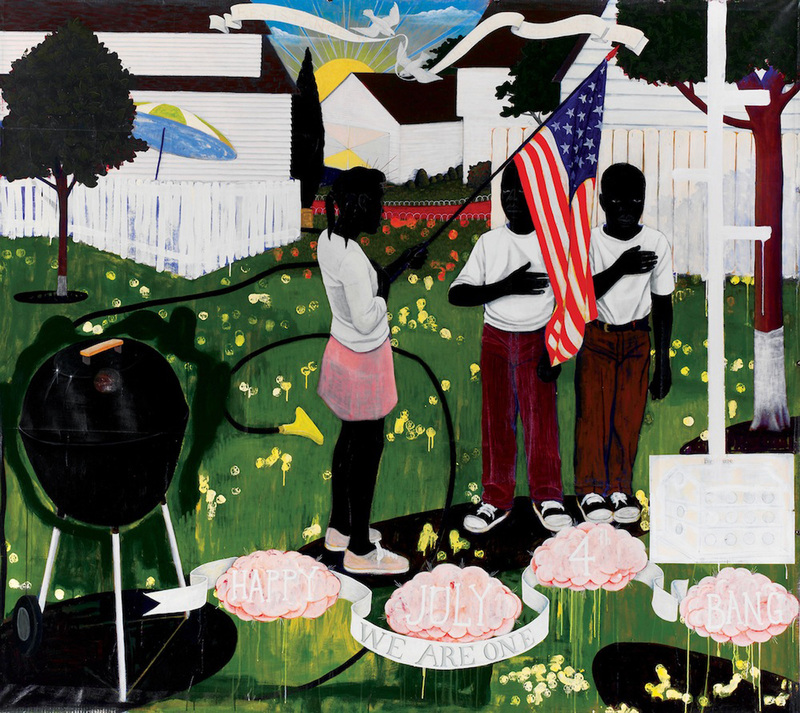 Today he is the highest paid living African American artist, breaking the record with a $21m sale of his 1997 classic, Past Times; reportedly purchased by Sean ‘Diddy’ Combs. Marshall opts for pitch black tones to stand out as striking whilst simultaneously disappearing into darkness, creating a strong contrast to the brightly coloured surrounding activity. He also takes pride in his scenes and narratives, leaning towards celebrations and moments of embrace and elation.